Baby girls ivory bow & daisy trim bow cotton headband, perfect for a christening, wedding or simply for a special occasion. 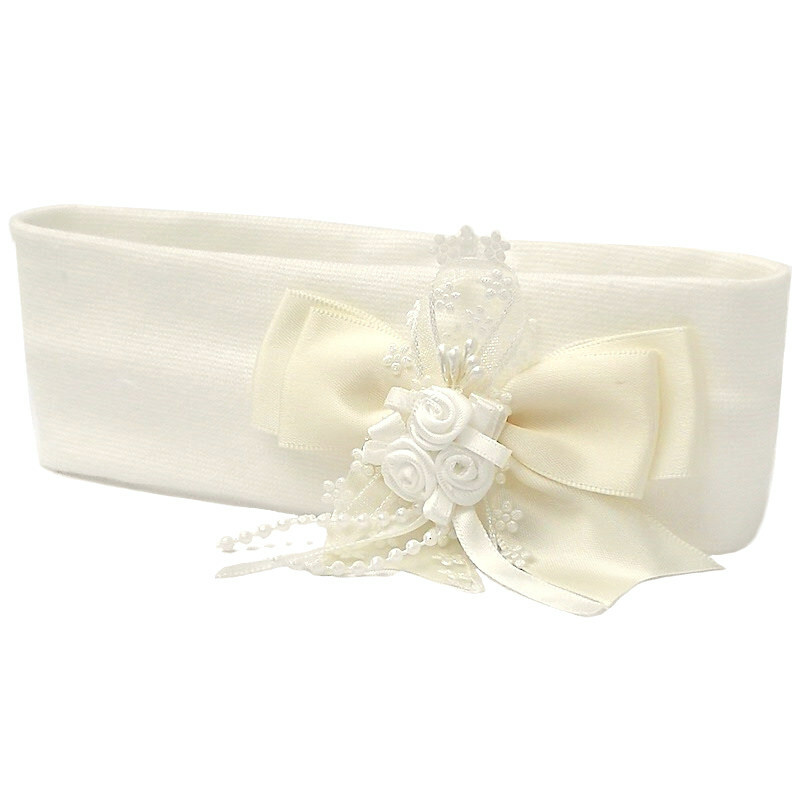 This beautiful soft ivory cotton stretchy headband has a large satin bow embellished with a rosebud and trailing pearls & ribbon to the centre, finished with an organza daisy trim. Headband measures 5cm wide, head circumference 32cm up to 40cm stretched. Bow measures approximately 10.5cm wide. This will beautifully compliment your baby girls special occasion dress. Made in England UK, guaranteed 100% excellent quality. Beautiful, well made headband that complemented my daughters christening outfit lovely! Looks much more expensive than what it is!